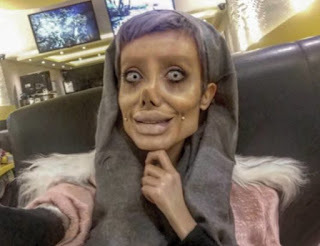 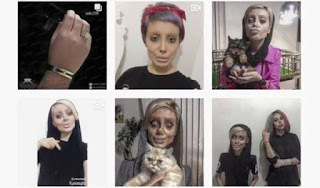 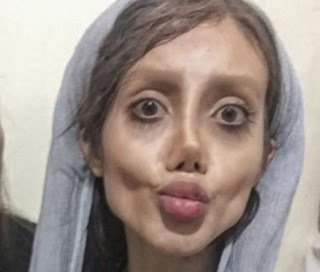 An Iranian teenager, Sahar Tabar, has reportedly undergone at least 50 surgical processes to look like her idol, Angelina Jolie. 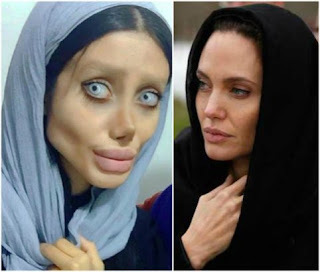 According to Arabiya, the self acclaimed Jolie’s biggest fan says she would do anything to look like her. 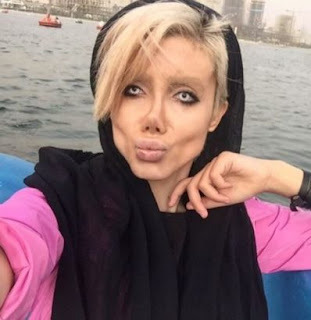 She constantly posts her selfies on her Instagram page where she has over 300,000 followers. 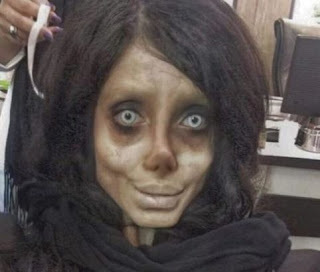 Instead, she is being referred to as a ghost bride.